Why Use Essential Oils to Treat Head Lice? 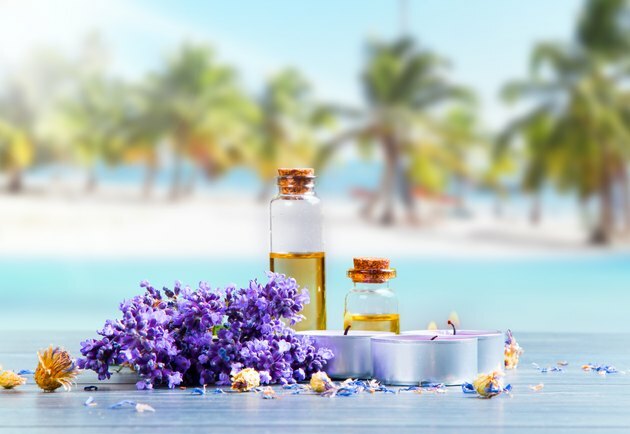 Although not scientifically proven to be effective against head lice, anecdotal reports suggest that essential oils do work, and they do not contain industrial chemicals and insecticides employed by some proprietary brands of head lice treatment. Lice are also known to show some resistance to the insecticide treatments, which is why parents of children with head lice are turning to natural alternatives. Wet combing has been shown to be the most effective method of removing all eggs and lice from hair. However it is time consuming and must be repeated daily to ensure that the infestation is completely cleared. This is fine if you have a child who is content to sit still for half an hour to an hour having a comb run repeatedly through his hair. However some children dislike this and find it hard to keep still and not complain. Treatment with essential oil helps may cut down on combing time. There are around half a dozen essential oils which have proved effective against lice. These are, cinnamon leaf, eucalyptus, tea tree, geranium, spike lavender, rosemary and thyme. The most effective are judged to be tea tree and eucalyptus. According to Mama Herb, “Mix your shampoo with 3 tablespoons of olive oil, 1 teaspoon of tea tree oil and 1 teaspoon of eucalyptus oil. Apply this combination into the hair. Wear a tight-fitting shower cap. Wash off after an hour.” If the skin has been irritated by the bites, add 2 drops of chamomile to the mix to soothe the skin. The combination of tea tree and eucalyptus oil is thought to either suffocate the lice, or numb them sufficiently to make them easy to comb out. To avoid overuse of the oils, occasionally substitute thyme or rosemary for tea tree oil and lavender or geranium for eucalyptus. However, if there is a history of epilepsy, avoid using rosemary essential oil as it has been known to cause seizures. Never apply any essential oils neat to a child’s head. If your child has sensitive skin, add one drop of tea tree, one drop of eucalyptus and one drop of chamomile to a golf ball sized dollop of conditioner and use after a normal shampoo, making sure to comb all the lice out afterward. “The best way to prevent head lice spreading is to check your whole family's heads regularly and treat them as soon as live lice are found,” notes Bupa, a healthcare company based in the U.K. Once the infestation has been dealt with, add one drop of tea tree to your usual shampoo once a week as a precaution.